(---) Only time will tell but I would't be surprised if it did the trick. I'm afraid this morning the movement had stopped again. It would seem that when it stops it always happens somewhere around 08:40. Oh well, maybe this is my cue from the watch gods it's about time I learn how to change a watch movement, and fortunately I should be able to cope with the cost. .... the movement had stopped again. .....it always happens somewhere around 08:40. 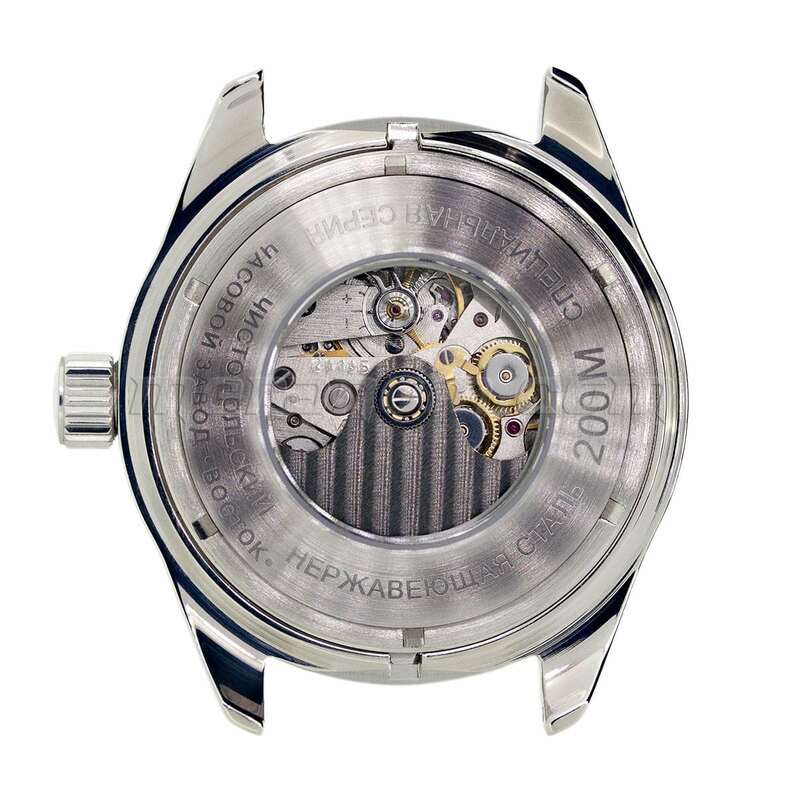 I suspect there is a bad tooth or debris on the 'Hour wheel' (gear) which controls the movement of the Hour hand. Anyway, I'll be needing a few more tools before I go ahead, like a hand remover and a few decent screw drivers. Speaking of tools, where could I find a good on-line shop for watch tools in Europe? Have been looking at this shop. Last edited by VWatchie; November 6th, 2016 at 22:11. Cousins UK have everything and if you're outside the UK it all just got cheaper. ....... made up my mind to change the movement. I usually shop my Russian watches from Meranom.com and their 2415 movement looks really nice ($39.90) with its decorated oscillating weight and golden screws and wheels. I am sorry to disappoint you: Most probably you will receive the standard 2415 and not the beautiful example shown at Meranom. That decorated unit is a special edition and Meranom does not sell it separately, AFAIK. I am sure that it would sell for more than $39.90. "Appearance and specification may be different from the ones shown in the photo." Last edited by Matt_Bored_O; November 7th, 2016 at 07:43. Some units experience a failure of one of the Reversing Wheels. swings around when you wear the watch. A few owners report that their Vostok stops completely or only occasionally. Some of these owners have discovered that the problem was caused by the seizure of one of the Reversing Wheels. The clutch had locked and could not disengage. Reversing Wheels fail to turn. They may also resist turning and you will feel resistance against the rotor. and they will turn freely in both directions. function temporarily or perhaps indefinitely. Only a very small quantity of oil is required. However, it is probable that you must replace the wheel. When the rotor spins, a small gear under the rotor turns the reversing wheels. If the wheel in the photo is turned clock-wise, the disc shaped roller jewels move up the 'ramps'. Notice that the ramps are not straight but curve slightly toward the centre. This causes the roller jewels to lock against the centre hub which then turns the shaft and pinion underneath. This pinion turns the winding gear train which winds the Mainspring. When the wheel turns counter clock-wise, the roller jewels move down the ramps to the position in the photo. The clutch is now disengaged or un-locked. locked. This is a seizure of the clutch and wheel. The entire wheel (gear) and clutch system is replaced as a complete unit. It is not necessary or advised to replace only the roller jewels or the separate tooth gear / wheel. - look in the sections: "Movements" and "Spare Parts"
- search: "First Double Wheel"
I recommend to purchase 2 or more. It is best to have one or more spare wheels for possible future repairs, especially if you own more than one Vostok automatic. Last edited by Matt_Bored_O; November 8th, 2016 at 09:20. VWatchie and Tarquin like this. Thank you Matt_Bored_O for the "Reversing Wheels" article. Very informative and interesting reading indeed! I'm pretty sure my 2415 movement doesn't suffer from the symptoms you list but I'll definitely take another look and report back should I indeed have faulty reversing wheels. Browsing through the Amphibian spare part section at meranom.com I had noticed that reversing wheel and wondered how come that particular part was listed. Guess now I know! Last edited by VWatchie; November 9th, 2016 at 21:43.